I hate dementia. When I saw it developing in both of my parents, it was hard to see these beautiful, loving people incapacitated by the changes in their minds, even though their dementias were not the worst cases I have known—not by far. But even while I lament this tragedy, I am still totally convinced that God is both good and strong and that dementia was in his plan for them. One of my favorite psalms puts it like this: “Once God has spoken; twice have I heard this: that power belongs to God, and that to you, O Lord, belongs steadfast love” (Ps. 62:11–12). In his love God was able to prevent their dementias but chose not to. How am I to respond? Is he really not as good or loving as I had thought? Is he not strong enough to control dementia? I know these are valid questions to ponder; perhaps you are asking them yourself. When I confront such challenges, I have learned that I have to go back to the very basics of my faith and begin to see my struggles in the full light of Scripture. Granted, we will not find in the Bible any mention of dementia, but we do find some enduring principles that help us understand this disease and allow us to respond to it in God-honoring ways. One of those principles is that God has a purpose in all that happens. He never makes mistakes. As we face dementia in ourselves or loved ones, we can identify with the psalmist who wrote, “I cry out to God Most High, to God who fulfills his purpose for me” (Ps. 57:2). Even while recognizing that God had a purpose in what he did, the psalmist still cried out to God in his need. The more we get to know God, the more we can trust him, even when we may not understand why he does what he does. I love what Paul says: “Oh, the depth of the riches and wisdom and knowledge of God! How unsearchable are his judgments and how inscrutable his ways!” (Rom. 11:33). Once we recognize that in his infinite wisdom he has a purpose in dementia, there is no problem affirming his love and power. The second underlying principle we must take from Scripture is that fundamentally our lives are not all about us but about God. “In the beginning, God . . .” (Gen. 1:1). That is where we have to start. Before anything else, God was there. He alone exists simply because he exists. He was primary; everything else was secondary. He was Creator; everything else was created. He introduced himself to Moses as “I am” (Ex. 3:14). He gave no explanation but in a sense simply said, “Here I am—just accept me.” The apostle Paul expressed it clearly: “For from him and through him and to him are all things. To him be glory forever. Amen” (Rom. 11:36). Our universe came from him, it is daily sustained by him, and its ultimate purpose will be fulfilled in his being glorified. This means our lives should focus on God. One of the challenges is that he allows us to enjoy so much in this life that it is easy to think that our reason for existence is to live comfortably and find happiness in every way we can. We must never discount the many blessings God pours into our earthly lives and be grateful for them. But when we focus only on the gifts and not on the giver, we are grievously wrong. Life is fundamentally about coming to know him personally and finding fulfillment and joy in nothing other than God himself. He alone can satisfy our deepest longings. If we are settling for the pleasure we get only in ourselves and in this world, we are accepting something second-rate. Adopting this God-centered view of life is critical to rightly viewing dementia. It is not simply about dementia disrupting our comfort and happiness; this disease becomes a tool that God uses to accomplish his ultimate purpose: his honor, his glory. Seven times in Genesis 1 we are told that the world God made was good, meaning it conformed perfectly to God’s character. It was filled with love, beauty, joy, righteousness, and satisfying work for our first parents. There was no human death, no disease, no pain or suffering. Most important, for our present purposes, there was no dementia. The high point of God’s creation was humans. He created us, and so by right we all belong to him. The psalmist caught the significance of this when he wrote, “The earth is the Lord’s and the fullness thereof, the world and those who dwell therein” (Ps. 24:1). Applying this truth to dementia victims means that they, too, belong to God just as much as anyone else, and we must treat them accordingly. God made all of us with both minds and bodies, and who we are is an essential unity of these; both are equally important to our identity. There is no such thing as a half person. We cannot afford to discredit the importance of our physical bodies and emphasize our minds or do the opposite. Our bodies may get sick and not function well, but we are still persons. Our minds may get sick and not function well, but we are still persons. We will see that dementia may devastate some of our brain’s abilities, such as memory and rationality, but we still have feelings and are able to enjoy human relationships. We are still whole persons who belong to God. That each of us is God’s creation and belongs to him is reason enough to treat everyone with respect. But there is an even more significant basis for doing so: each of us has been made in the image and likeness of God. That we are made in God’s image is the first thing God declared about humankind and so distinguished us from all the rest of creation. Scripture doesn’t say we are the exact image of God but rather that we are made in, or according to, God’s image. Only Jesus is the exact image of God (Col. 1:15; Heb. 1:3). Being made in God’s image conveys a special dignity to all men and women, and this dignity does not depend on how closely our character resembles God, how smart we are, or what wonderful things we do. The fact of human dignity is equally as true of the Nobel Laureate as of the most severe dementia sufferer who is totally dependent on others. 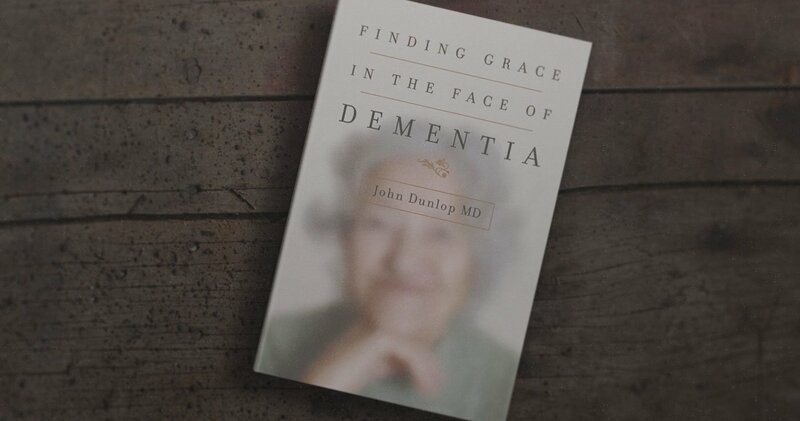 Content taken from Finding Grace in the Face of Dementia by Dr. John Dunlop, ©2017. Used by permission of Crossway, a publishing ministry of Good News Publishers, Wheaton, Il 60187, www.crossway.org. John Dunlop (MD, Johns Hopkins University School of Medicine) has practiced medicine in Zion, Illinois, for thirty-seven years and currently works with the geriatrics group associated with Yale Medical School. He is board certified in geriatrics and has a master's degree in bioethics from Trinity International University, where he serves on the adjunct faculty. He is also the author of Finishing Well to the Glory of God: Strategies from a Christian Physician, Wellness for the Glory of God: Living Well After 40 with Joy and Contentment in All of Life, and most recently, Finding Grace in the Face of Dementia.